This recipe contains all the essentials for staying healthy through the winter cold and flu season, and all year for that matter. 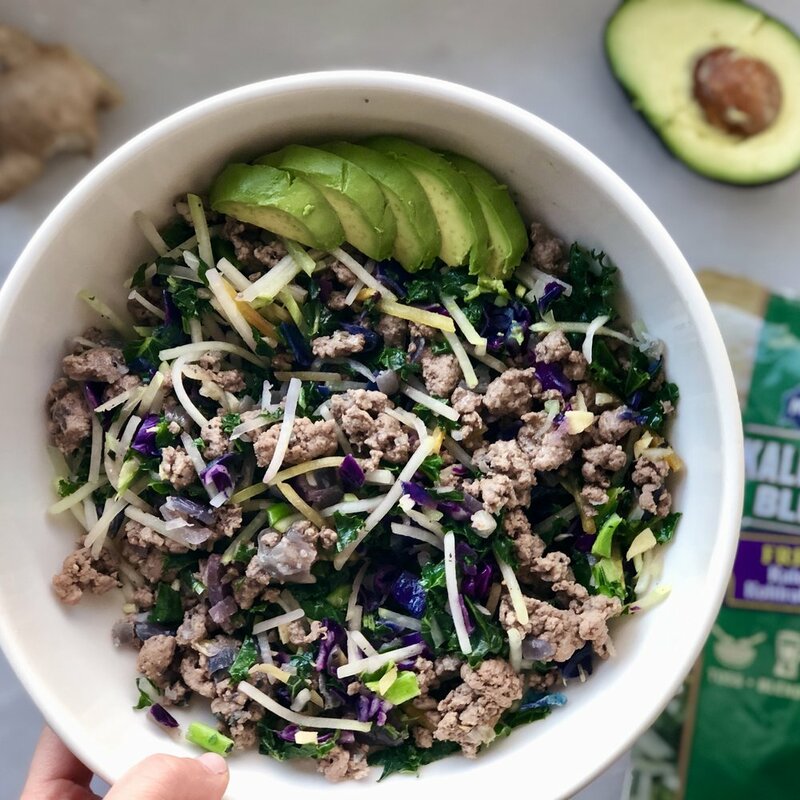 The ginger is anti-inflammatory, the dark leafy greens contain lots of anti-oxidants and nutrients like vitamin A & K, the meat contains energizing vitamin B-12, and the citrus and the beets have good ol’ vitamin C. It’s also easy and great for meal prep. Here is a link to the Mann’s veggie slaw blend I reference in the recipe.